We at Pavlus Travel believe finding the lowest price for your tour or cruise vacation should not be an ordeal. The Pavlus Best Price Guarantee applies to every escorted land tour and cruise only booking made with a Pavlus Travel Planner. What is the Pavlus Best Price Guarantee? We guarantee you are receiving the best price available at time of booking. If you find a better price online for the same trip within 24 hours Pavlus will refund the difference. What Vacations does the Pavlus Guarantee apply to? The Pavlus Guarantee applies to the actual cruise only or land tour cost of your vacation. It’s our guarantee to ensure you are receiving the best price possible for any cruise only or land only vacation displayed on this website. The Pavlus Guarantee does not apply to any airfares. How do I contact Pavlus Travel to use the Pavlus Best Price Guarantee? It’s easy. Call Pavlus Travel at 800-704-0385 within 24 hours of booking and ask for the Pavlus Guest Relations Department. Pavlus Best Price Guarantee. In the event that you find a lower price on Pavlus.com or on another U.S.-based website within 24 hours of booking with Pavlus Travel, we will credit or refund to you the difference. The Pavlus Best Price Guarantee is subject to the terms and conditions listed below. The Pavlus Best Price Guarantee applies only to residents of the United States. Advising Pavlus Travel of a Claim. You must contact us at 800-704-0385 and speak to a guest relations representative within twenty-four (24) hours after your Pavlus Travel booking with deposit or full payment to make a claim under the Pavlus Best Price Guarantee. The lower rate must be available for booking at the time you contact us, as determined by our customer service representative. The Tour or Cruise Booking Must Match Identically. The Pavlus Best Price Guarantee is available only for exact itinerary matches, for example, ship and cabin category or escorted land tour, applicable refund policies, and the exact same dates of travel or service as booked through Pavlus Travel. The Pavlus Best Price Guarantee is not available for bookings on websites where booking details are unknown until after the purchase of your cruise or escorted land tour. You must meet every requirement imposed on the lower price including, without limitation, residency, country of origin and age-related requirements. Prices Must Be Available and Displayed to the General Public on an Online United States Based Website. The Pavlus Best Price Guarantee applies only to prices both available and advertised to the public on United States based websites. The Pavlus Best Price Guarantee does not include rates offered on membership program websites, corporate discounts or rates; group prices, charter, rewards program, incentive, meeting, convention, consolidator or interline prices or prices obtained via an auction website or similar process; or prices available only by using a coupon or any promotion not offered to the general public. The lower rate may not come from a website where you call to get the price, or from an e-mail that you received. The rate must be quoted and booked in US dollars. Pavlus Best Price Guarantee. The Pavlus Best Price Guarantee does not apply to airfares, hotels, auto rentals or any other vacation component other than escorted land tour or cruise only rates/prices. Pavlus Best Price Guarantee. The Pavlus Best Price Guarantee applies only to the actual cost of the cruise only price or escorted tour price. Taxes and fees, additional charges, such as air or land additions, cancellation insurance, cruise or tour protection plans, shipboard credits, land transfers, pre or post cruise hotel stays, onboard amenities, gift cards or certificates, cash back, cash rebate and or dollars off in any manner are not eligible. 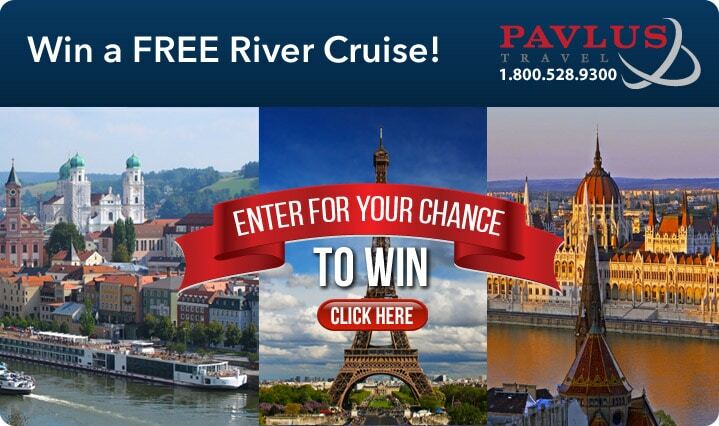 To qualify for the Pavlus Best Price Guarantee for cruise or tour bookings, you must have either have paid in full or paid a non-refundable deposit on the reservation. If you have made a non-refundable deposit, then any credit under the Pavlus Best Price Guarantee will be applied to the outstanding balance due for your booked booking. Changes. Pavlus Travel reserves the right in its sole discretion to modify or discontinue the Pavlus Best Price Guarantee or to restrict its availability to any person, at any time, for any or no reason, and without prior notice or liability to you. The terms that are in effect at the time of any claim determines your eligibility under the Pavlus Best Price Guarantee. The failure by Pavlus Travel to enforce any provision of these Terms and Conditions shall not constitute a waiver of that provision. Claims. All requests, including receipts or credit card statements, or cancelled checks are subject to verification by Pavlus Travel. Pavlus Travel will not accept screenshots or other types of documentation of a lower price that cannot be independently confirmed by Pavlus Travel personnel. Nor will Pavlus Travel verify any request that it believes, in its sole discretion, is the result of a printing or other error or is made fraudulently or in bad faith. Verified requests will receive a credit to the credit card used for the booking, within approximately 7-10 days of verification. Lowest price discount guarantee does not apply to any Tauck tour, river cruise or cruise.